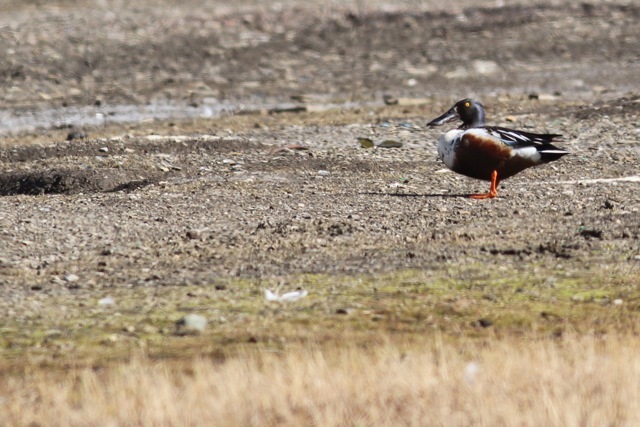 On 7 June 2013, I saw a male and a female northern shoveler duck. 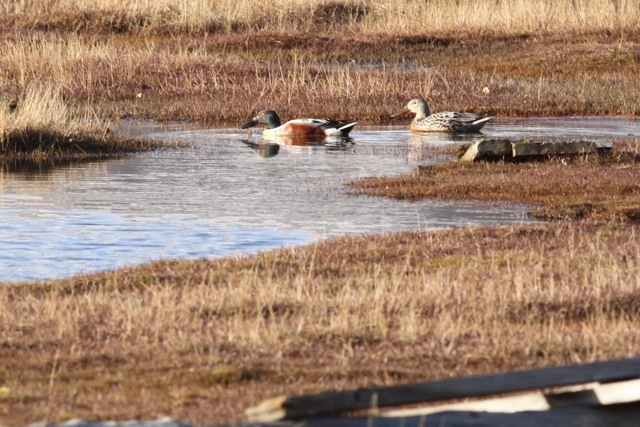 They were in the marshy area near the estuary of the Adventdalselva river, opposite the common eider colony at the dog cages, just east of Longyearbyen town in Spitsbergen. 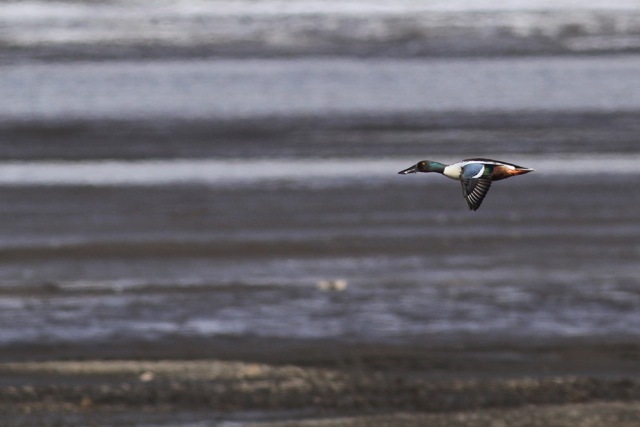 This bird species is rare in Svalbard. The book Birds and Mammals of Svalbard, page 187, says less than twenty individuals have ever been seen on this Arctic archipelago. So says the site svalbardbirds.com. 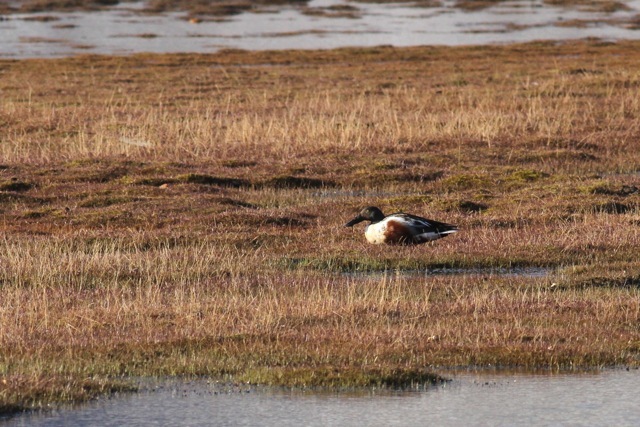 It adds that recently, shovelers have only been seen in Svalbard in 1996, 1997, 2007 and 2013. 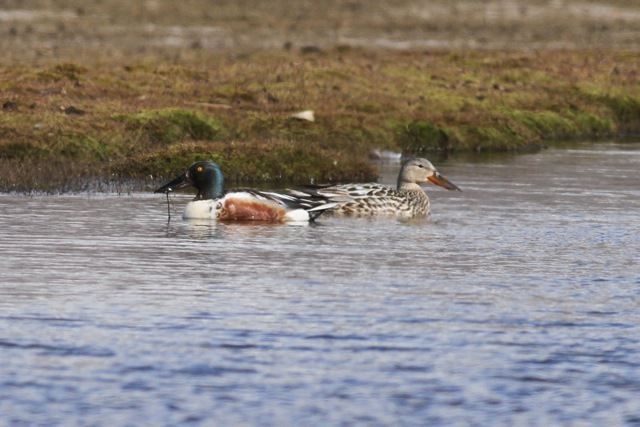 We saw the shoveler couple again, on the next day, 8 June 2013, at about the same spot. Eventually, they flew away. But later that day, they were back again. 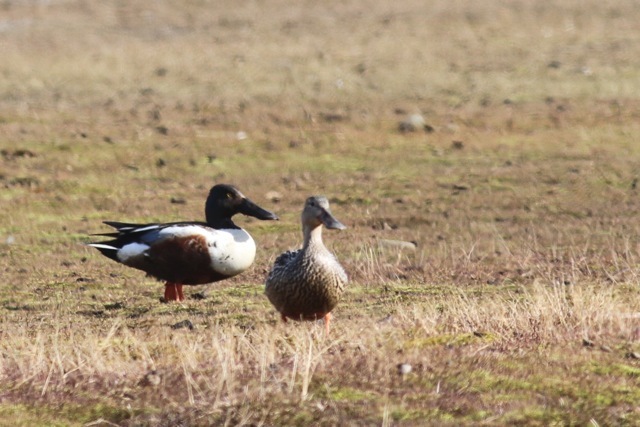 The day after 8 June, 9 June 2013, Ole Edvard Torland made these photos of a shoveler couple, very probably the same couple, in Adventdalen valley. 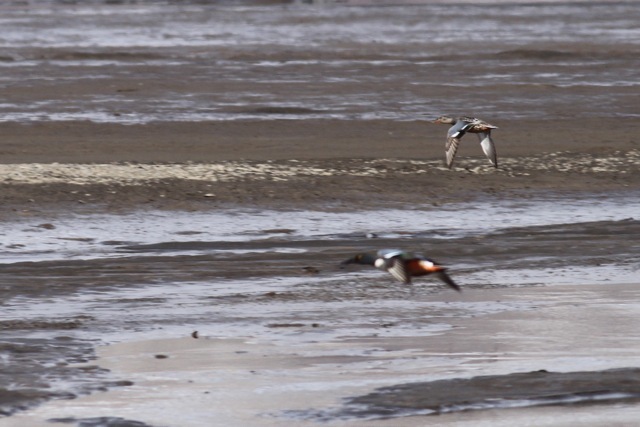 Ole Edvard Torland writes the ducks were disturbed by a great skua. There are no records after June 9 of these two birds. Did they decide that after all, Svalbard was too Arctic for them? Talking about common and rare birds in Svalbard: we did not see any greater black-backed gulls in Svalbard, though, according to Svalbardbirds.com, they are “common but dispersed breeders”. On the other hand, we were lucky to see a smaller relative of them, a lesser black-backed gull, which is rare in the archipelago. We were also privileged to see a pectoral sandpiper, also rare in Svalbard. 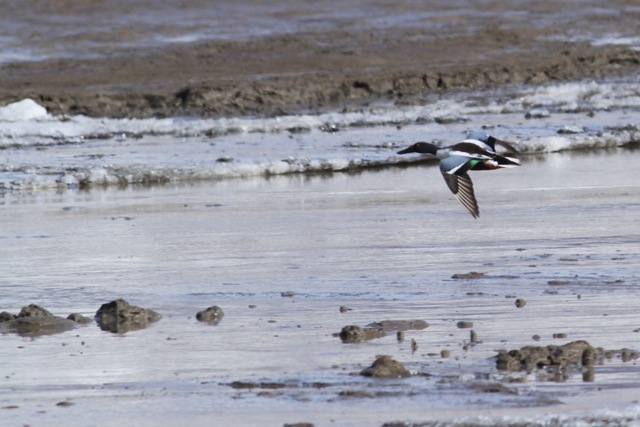 There is a post on this blog on rare songbirds of Svalbard. On 30 June 2013, this photo was taken of a male Lapland bunting in Adventdalen valley. This entry was posted in Biology, Birds, Environment and tagged Arctic, ducks, photography, Spitsbergen birds, Svalbard, travel by petrel41. Bookmark the permalink.